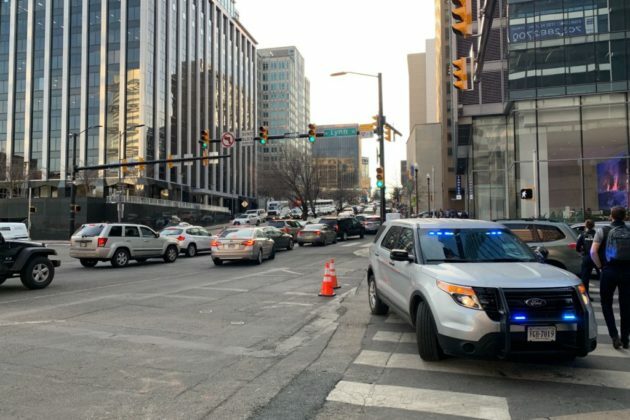 Update at 5:05 p.m. — Dominion has confirmed to authorities that the loud boom was caused by a malfunctioning underground transformer. 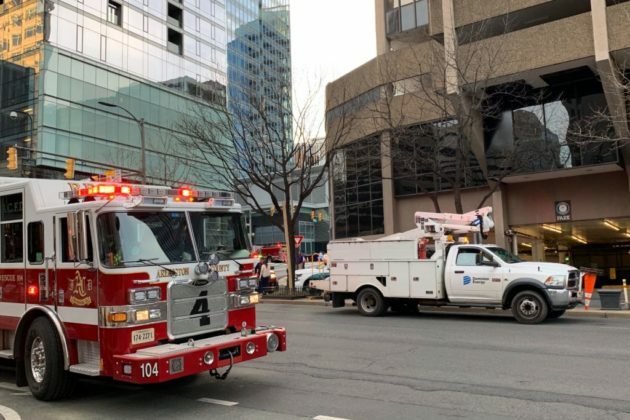 Due to redundancies in Rosslyn’s electrical system, power has been restored to buildings affected by the outage, according to scanner traffic. Road closures are expected to be lifted soon. 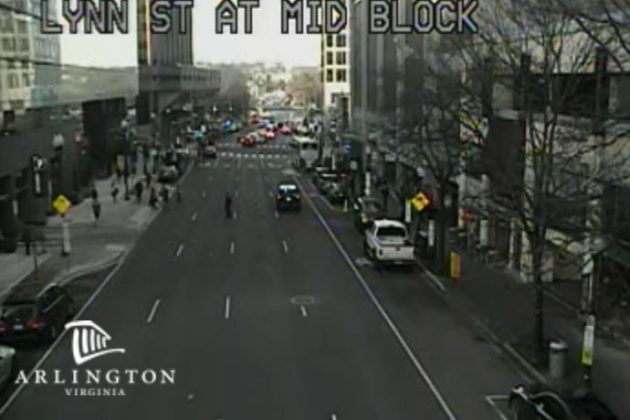 Earlier: Arlington County Police have closed N. Lynn Street in Rosslyn to traffic and pedestrians after an explosion was heard in the area. Initial reports suggest the explosion might be electrical in nature. 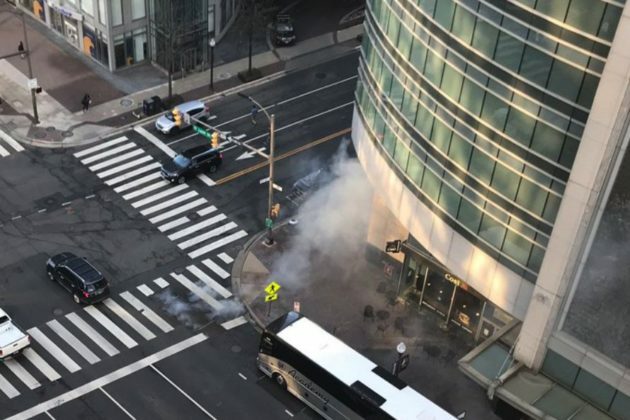 911 callers reported hearing a very loud boom, then seeing smoke and dislodged manhole covers near the Cosi restaurant at the corner of Lynn and 19th streets. 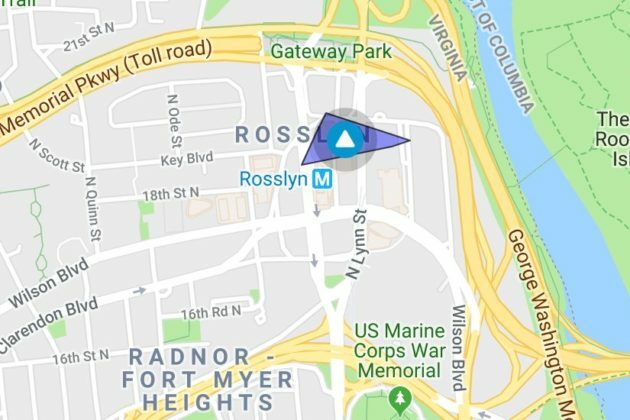 A Dominion power outage map reports an outage in the Rosslyn area. 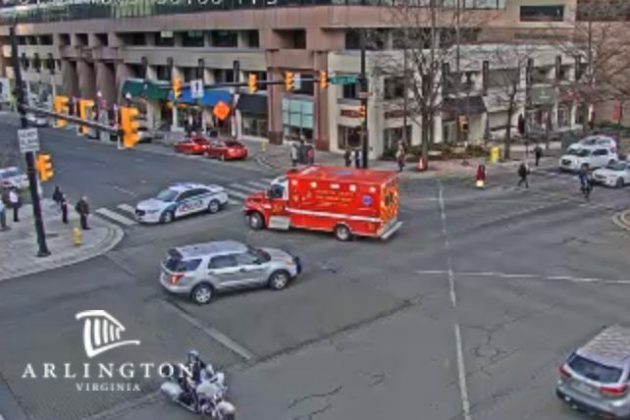 Officers escorted Dominion’s vehicles through Arlington to the scene to hasten their response. As of 5 p.m., police were still awaiting the assessment of Dominion crews before reopening the roadway. 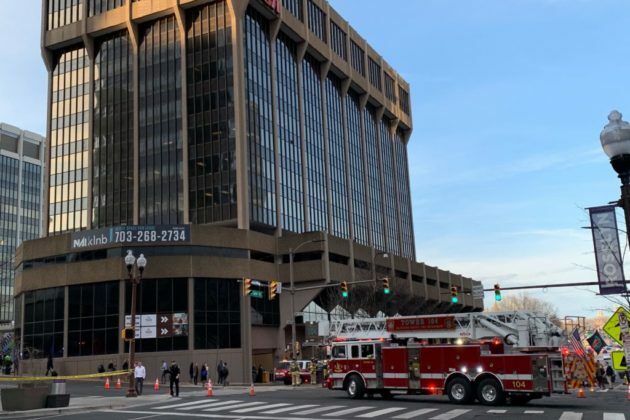 Additional firefighters were sent to Rosslyn after the initial dispatch for reports of stuck elevators and smoke coming from the top of a building, both of which are likely related to the power outage. 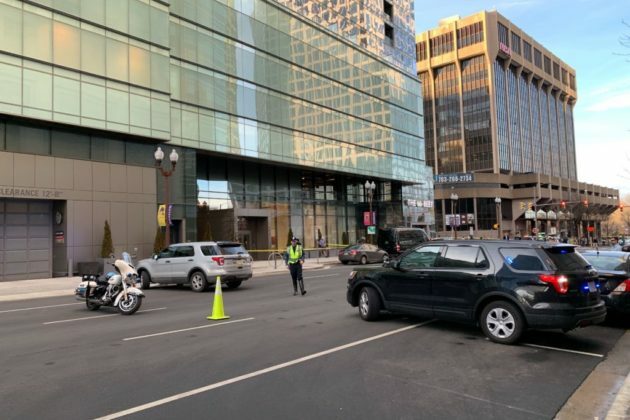 No injuries have been reported, a police spokeswoman said. 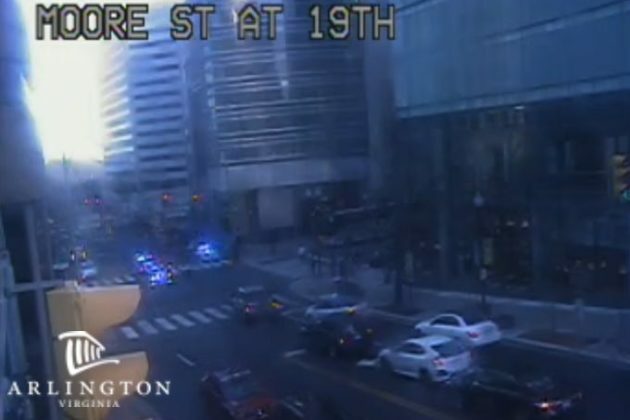 Metro said the explosion was not related to Metrorail service, though Metrobus service is affected by the road closure. 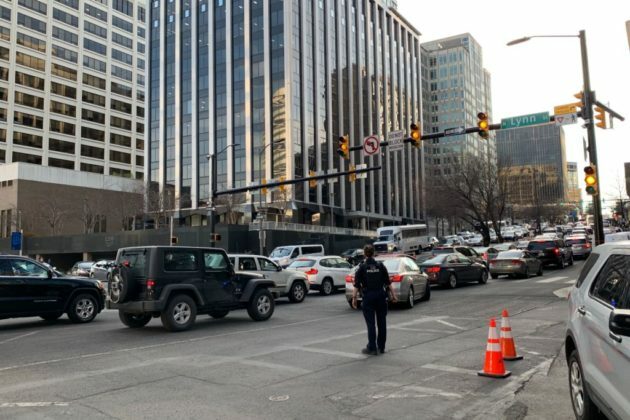 Drivers should expect major traffic impacts in the area with much of Rosslyn’s main outbound thoroughfare closed during the evening rush hour. FINAL: @DomEnergyVA has given the all clear. 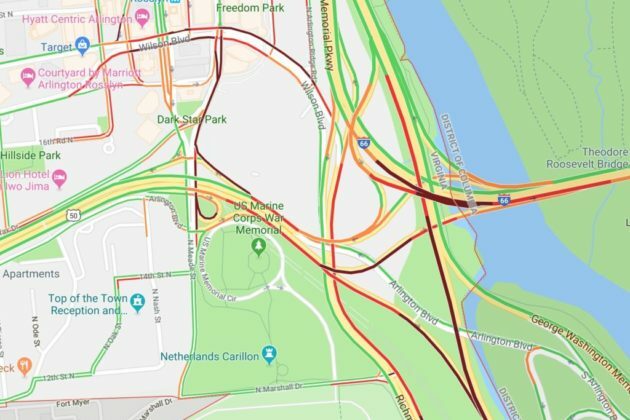 Roadways are being reopened but motorists should expect residual delays. Police and @ArlingtonVaFD units are beginning to go back into service.